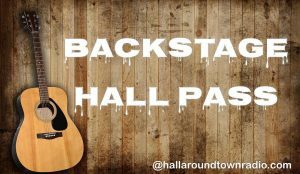 Meet Singer/Songwriter Mike Godwin on “Backstage Hall Pass”! Singer, songwriter, musician… but besides that Mike Godwin is an entertainer. He plays to an audience most nights of the week like he has been on stage all his life. Mike’s brand of music is storytelling, with strong harmonies and the influences of greats like the Eagles and Springsteen. 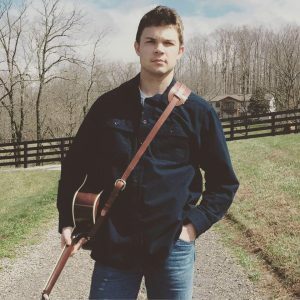 In his “Backstage Hall Pass” interview Mike shares about growing up with music in his house, his move to Nashville, a new band in the works and his home base for entertaining, Tootsies Orchid Lounge! ‘Mom’s’ was the original name of Tootsie’s Orchid Lounge, Tootsie Bess bought Mom’s in 1960. She credits a painter with naming Tootsie’s. She came in one day to find that he had painted her place orchid…thus the name Tootsie’s Orchid Lounge. Famous early customers were Kris Kristofferson, Faron Young, Willie Nelson, Tom T. Hall, Hank Cochran, Mel Tillis, Roger Miller, Webb Pierce, Waylon Jennings, Patsy Cline and many more. Performers at the Opry would sometimes sneak out the side door and grab a drink at Tootsie’s between sets. In 1992, local businessman Steve Smith reinvested in Tootsies and is credited for part of the revitalization of downtown Nashville. Today, Tootsies is an international destination visited by locals and tourists alike. Tootsie’s is known for having the best local musicians like Mike and as a haven for some the world’s most popular acts. You truly never know who you may see on one of Tootsie’s three stages or hanging out on the rooftop patio! As an additional bonus segment we bring Melissa Mickelson back to the program to give us an inside view into the Country Crossings Music Festival where she took the stage in front of thousands. Take a listen to the latest in our series of “Backstage” musical journeys and as always you can subscribe to all of our podcasts on our homepage @hallarounbdtownradio.com. scott August 3, 2017 . No Comments on Meet Singer/Songwriter Mike Godwin on “Backstage Hall Pass”!. Categories: BACKSTAGE "HALL" PASS.